Cage Rage continues to attract top fighters from all over the world as they head into Saturday night’s Cage Rage 19: Fearless show at Earls Court. Butterbean (7-2-1) comes into this fight off the back of a successful PRIDE fight against Sean O’Haire, stopping the former Pro-Wrestler with strikes and looking handy in doing so. 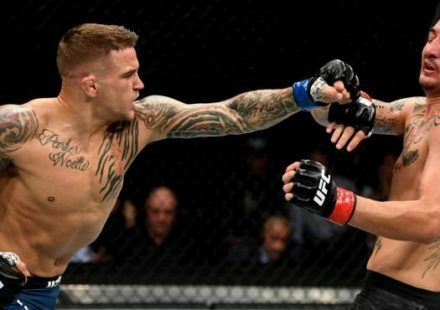 He has indeed come a long way since his Brawl for All destruction of Bart Gunn and transition into the world of MMA, still possessing devastatingly powerful punches but becoming more rounded with every outing. Although I doubt we will ever see Butterbean working for an omo-plata, I do think he will bring excitement in his MMA matches for years to come. Broughton (5-2-1) has found himself in the position of underdog again in this fight, just as he was perceived in his fights against Robert Berry and James Thompson. But one thing is for certain this is no walk in the park for him. Broughton can win this fight, if he adopts a gameplan that focuses on keeping the Bean at bay, using lateral movement and chopping at his legs with kicks, cut his movement off, stiffen his legs and then switch to push kicks to topple him backwards into the cage. From there Broughton can mount a serious offensive with ground and pound before looking for a possible sub. If he comes in looking to trade, he will be TKO’d inside the first, and if he shoots too early, he will eat a vicious uppercut. In contrast to Jeff Monson and Tim Sylvia, the height difference in this match favours Butterbean. We all know Broughton can take shots, but the Bean hits undoubtedly harder than anyone Broughton has faced thus far. Tedoradze (19-7-1) steps up to face Cabbage (18-11-0) as a replacement for “Buzz” Berry who injured his back in training last month. The fight was originally going to be a bad match-up for Berry, but with Tedoradze taking his place I feel the playing field has levelled. Where Cabbage scores in Muay Thai ability, Tedoradze equals in wrestling and smarts. Tedoradze is a much more consistent heavyweight on the UK scene. His striking is decent but his ground and pound offense coupled to his wrestling makes him very dangerous. He will no doubt need to close and impose his will early on. Cabbage by contrast hasn’t looked like his old self since the loss to Tank Abbott. His ability to take punches hasn’t helped him any and, although he has recently reversed his fortunes, I have to wonder how his training has been going. He has access to a great team, but hasn’t looked complete for some time. I am going to go out on a limb and predict that Tedoradze will win this fight by TKO in the second round. Sinosic (7-9-2) is an experienced UFC veteran who has proven that he can still hang with the current crop of fighters. He possesses excellent submissions and strikes, but the power factor in this fight will be telling. Epstein (12-8-0) is a very strong, ultra-aggressive fighter who has incredible speed for a fighter of his size, sure his punches can be wild, but that makes him all the more dangerous. I expect that this fight will be decided on the feet, in favor of Epstein towards the end of the first round. If Sinosic manages to take Epstein down I doubt he will be able to keep him there and I don’t think he will be strong enough to force a submission. 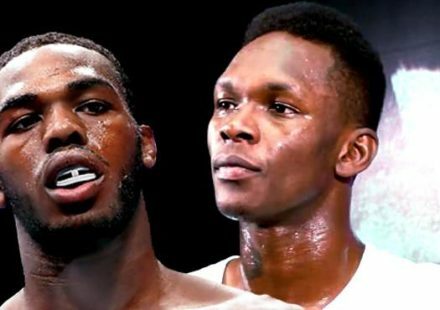 This fight could signal a changing of the guard in the UK middleweight division, as it is a case of “the new” vs. “the old”. Galesic (5-1-0) has been on a tear in Cage Rage breezing through Mike Holmes, Curtis Stout and James Nicolle and making a name for himself as the man to watch in this burgeoning division. Much like GSP in the UFC, Galesic is the future of his weight category, but I think this fight against Weir is maybe a little too much, too soon for him and I expect that he will succumb to the Gloucestershire native after an all out war over three rounds. This World Lightweight title fight will no doubt be conducted on the floor as both fighters are well versed in submission. Nakamura (10-7-0) won in his last Cage Rage outing against the larger Michael Johnson via Armbar. Ribiero’s (16-1-0) skills are well documented and the BTT Lightweight is widely regarded as one of the very best in the world in his category. In the MMAWeekly Rankings, he is the #6 Lightweight in the entire world. I expect this to be an exciting fight but one that will ultimately see Ribiero prevail in the first via submission. Maybe I am reading too much into Ribiero’s opponent being Japanese, but I think that after this match we will see him surface in the Pride roster in 2007. Very tough fight for Daley (12-5-2) as Azaredo (10-6-0) is no slouch and comes into this fight with a huge edge in experience having been in the thick of it with Joachim Hansen, Takanori Gomi (twice), Anderson Silva, Luis Firmino and Hayato “Mach” Sakurai. Daley by contrast has faced excellent UK competition but on the worldwide scale his toughest opponent has to have been Jean Silva. Daley is well aware that this fight could become a springboard to a brighter future and although he has a great team behind him in the Roughouse, he has seen the need to step things up a gear, in doing so he has had the pleasure of training with Melvin Manhoef and Jori Mes over in Holland on his striking, as well as ATT on his ground work. All you can say about this fight is that it is going to be an all out war. 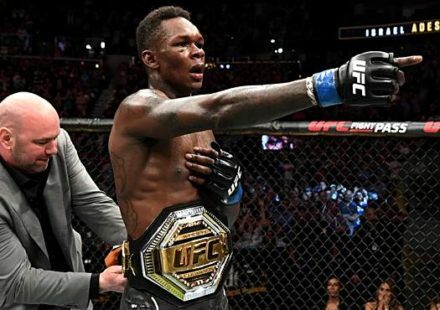 Both fighters are capable of winning, both have the tools, but in this particular instance I think confidence is high in Daley and he knows this is his big chance. 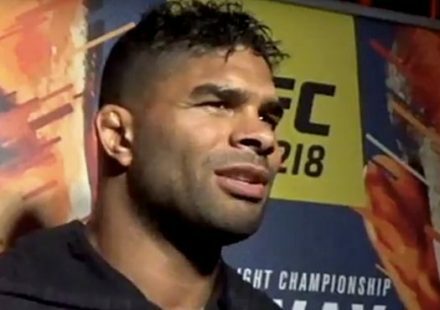 I expect his strength advantage and solid chin will make the difference in this bout and he will pull out the decision. When these two first fought it was a sloppy, slug-fest, high in excitement but low in skill. Murdock (3-2-0) eventually won the fight by having a better presence of mind by securing the Armbar on his seriously gassed opponent, but ate the brunt of punishment leading up to that point. Since then Legeno (1-3) has dropped two additional fights and won a fight over washed up American disgrace Kimo (less said about this the better). Murdock has, well, TKO’d Kevin Simms in that time – that’s it. He hasn’t really been that active during the course of the year, but hopefully this means he has been working on his ground game, clearly a weakness for Legeno. I see these two coming in with a lot of surrounding hype and swinging for the fences. Murdock is the better fighter and should be able to take the win, he has an edge in cardio and tends to pick his shots better, but at the end of the day isn’t always a case of who should win, and I think Legeno will walk out the victor somehow. Put it this way, if Reid (7-5-1) doesn’t win this fight the marquee fights won’t be flooding in as usual. He seriously needs a win in order to still be considered amongst the best in this division in Cage Rage. His recent history is 3 back-to-back losses and a draw, not a good record but it belies his skills. He is very well-rounded, has a decent sub game, is good off his back and his Muay Thai has improved a lot of late. His skills never seem to gel in the cage though and his opponents have identified his weaknesses early on and stuck to a plan for the win. Reid’s last outing was surrounded in shame due to the illegal booting he gave Fryklund in the face when he was on the wrong side of a heel hook. This shows how Reid’s mentality was working during the fight, hopefully he can put the pressure aside and come into this fight open-minded, he will perform all the better if he manages to achieve this. Pokam shocked everyone at Cage Rage 18 by submitting highly regarded Wolfslair warrior Alex Cook with an Armbar from the bottom. Up until now, we have been viewing him as a prime striker but the sub has shown that you can’t underestimate someone’s ability to add tools to their arsenal. That said, I expect this fight will see Pokam trading as Reid arguably has the edge on the ground. Pokam is fast, accurate and presses the action. I expect them to throw bombs at each other for the best part of the first two rounds, but I can see Reid pulling this one out with a sub in the second. Both fighters can bang well, but Llaudin (9-8-0) has a clear advantage on the ground and I think this will make the difference in the fight. Mason (9-5-0) has gone 2 and 2 so far in 2006 dropping bouts to Chris Lytle and Paul Daley, no shame there as they are very tough opponents, but I am sure he will be looking to sign off the year with a solid win and make a statement in an increasingly stacked division. Llaudin has reversed his fortunes this year and comes into the bout full of confidence firmly putting the disappointments of 2005 behind him. A very competent Muay Thai striker in his own right, I feel he can draw Mason into thinking it’s going to be a striking bout, and when he’s not expecting it, bring the fight down to the ground. Mason’s wrestling is okay, but his sub defense is his clear disadvantage in this match and I predict Llaudin will put him away in the second to close a cracking 2006 for the French fighter. Dorski (9-8-0) fared well at Cage Rage Contenders 3 capitalizing on a mistake by Dean Bray to secure the submission win, in doing so he earns a chance at the big show, further highlighting that a good Contenders showing does get rewarded. Doski is a scrappy fighter, adept at submissions but one who has sometimes been accused of being too passive during his fights allowing opponents to find and dictate their own pace. I don’t think he has the pace to push Mahmoud (4-3-3) into tiredness, but I do feel that if he plays smart he can setup a submission for the win. Silva (14-6-3) is one of the most exciting fighters in Cage Rage, an all round nice guy and a tremendous talent who is always focused on entertaining the crowd. This fight marks his 6th bout this year, and his first since his impressive run in the Brazilian Super Challenge tournaments – he should be sharp, confident and ready to put Cherman away. Cherman (5-2-0) will have to work hard to keep up with Silva as his pace is always relentless. He is always coming forward at you, with unorthodox striking from a variety of angles and a very agile ground game. I fully expect Cherman to be outclassed and to go down via TKO in the second. This fight is up in the air at the moment due to the injury Alex Cook sustained in training to his ribs. No official word of a replacement has been announced.